DETROIT -- Key deals are nearing completion for green car startup ALTe LLC that could lay the foundation for its quest to make $2 billion in annual revenue by 2013 by producing electric vehicle powertrain systems. ALTe is close to signing a lease for a roughly 200,000-square-foot facility in suburban Detroit, formerly used by Lear Corp. and Delphi Automotive LLC. CEO John Thomas expects to assemble roughly 11,000 range-extended electric vehicle powertrain systems at the factory starting in 2011, then increase production to about 90,000 units by 2013. Such vehicles operate on a battery-powered electric motor. When the battery is depleted, the vehicle's gasoline-powered generator automatically recharges the battery. The Chevy Volt uses such a system. ALTe made news late last week when Tom LaSorda, former Chrysler LLC co-president under short-lived ownership Cerberus Capital Management, and Steve Landry, Chrysler executive vice president of sales, marketing and service, both joined ALTe as members of the board. LaSorda said he bought an equity stake in the firm. The company is also trying to finalize a distribution deal with one of the nation's largest publicly traded dealership groups to be licensed installers of ALTe electric vehicle powertrains. Thomas declined to name the dealer group but said he expects the deal to be done sometime in January. ALTe plans to first enter the automotive world by targeting fleets of cars or light trucks to be converted from traditional internal combustion engines into range-extended electric vehicles. Thomas said the company's conversion can increase the fuel efficiency of a vehicle by 80 percent to 200 percent by replacing existing gasoline engines with an advanced battery-driven electric motor and a small-displacement gasoline engine as a generator. 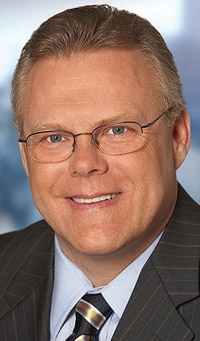 Thomas, who has held a number of engineering and executive positions at General Motors, Chrysler Group and suppliers such as Magna International Inc., said the company is targeting the fleet market initially because of his experience at his most recent employer before starting ALTe -- electric car manufacturer Tesla Motors. Thomas was Tesla's first hire in Michigan, tasked with launching the company's short-lived technical center in suburban Detroit and overseeing the company's all-electric hybrid sedan development program. The tech center was scrapped and consolidated back to Tesla's California headquarters, and Thomas stayed behind, founding ALTe in December 2008. But seeing how the high cost of the battery drove the price of Tesla's first vehicle, the Roadster, to more than $70,000 -- beyond the financial grasp of most consumers -- he decided a better choice would be to target fleet sales with range-extended electrics, which require batteries that are one-third to one-quarter of the size of the battery in an all-electric vehicle, he said. “We learned that series hybrid technology is the best transitional technology, and those it makes the most sense for are the fleets,” Thomas said. The company eventually plans to broaden its sales base beyond fleets. “We recognized that at some point, whether it's three, five or seven years into the future, we will have already picked all the low-hanging fruit and converted all the cars and trucks that make sense,” Thomas said. It has yet to deliver a retrofitted vehicle to a customer and is struggling to come up with the $16 million from the tight venture-capital markets to leverage a possible $104 million loan for a major project from the Department of Energy. The company has entered the final financial and technical due diligence phase of the DOE loan approval process for the project. ALTe also has a purchase order from GulfStream Coach and is in the process of raising seed capital. Thomas expects the addition of LaSorda and Landry to the board to help that side of the business. “After talking to John and spending quite a bit of time doing due diligence on my own, I came to the conclusion that it's a pretty fascinating business model,” LaSorda told Crain's. Since the arrival of LaSorda and Landry, Thomas said he's been contacted by about 15 venture-capital and private-equity firms. Now LaSorda said he plans on bringing his many years of auto industry experience to help close deals with suppliers, dealers and capital sources.